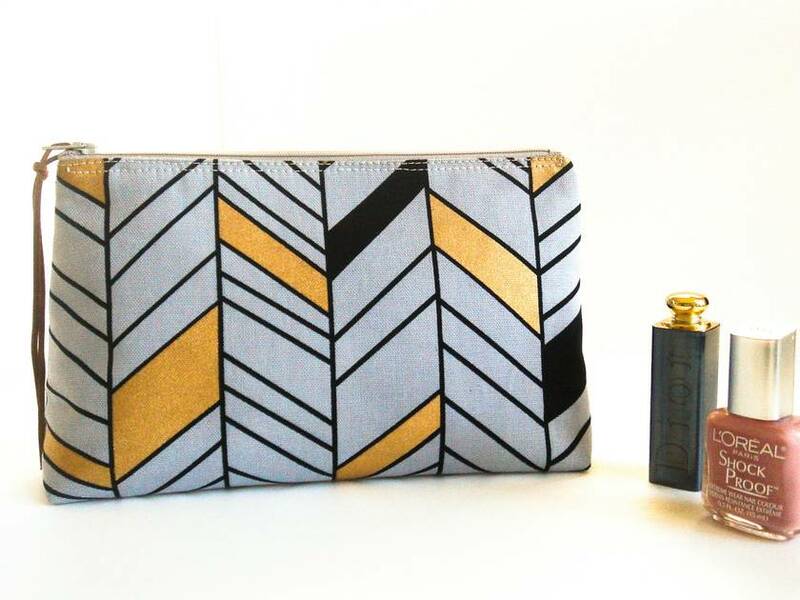 Store your cosmetics or makeup essentials, toiletries, jewelry or personal hygiene products in this stylish handmade zippered pouch. Perfect for keeping your larger bag organized and great for storing cords and chargers too while traveling. 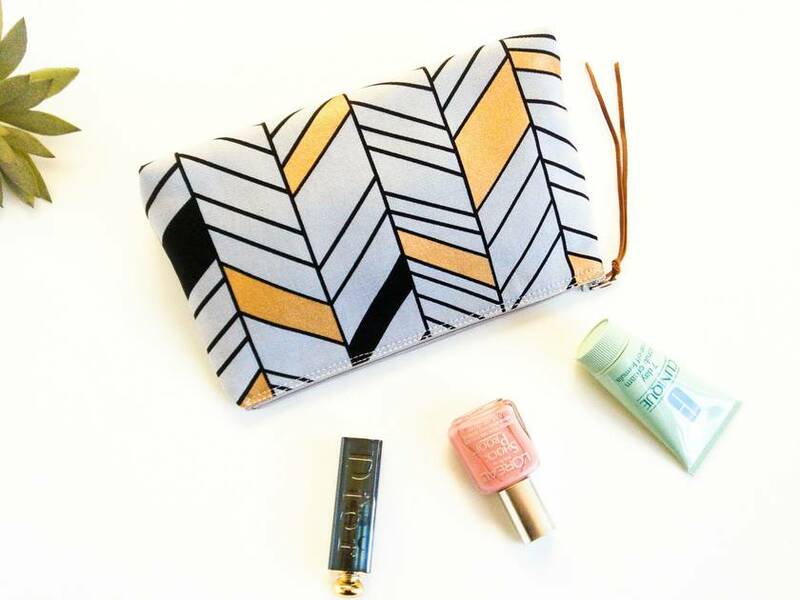 This medium makeup bag features an attractive wedge-like shape and a flat base to allow the cosmetic bag to stand by itself. This wide base provides more space for storing all your essentials. It closes securely with a nylon zipper and I have added a zipper pull made of faux suede which provides ease of use. 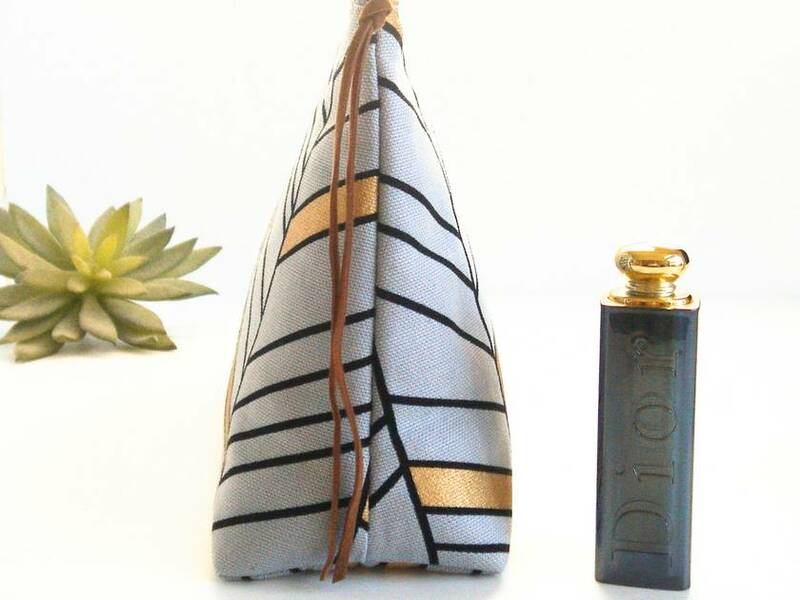 There is a layer of interfacing and fleece which provides structure, strength and softness to the zipper pouch which makes it have a nice padded feel ensuring that the contents within are protected. Made from 100% cotton fabrics with no raw edges visible with all seams fully encased. Please note pattern and fabric placement may differ slightly to what is shown in the pictures. I recommend spot cleaning. However, if necessary hand wash in cold water, remove excess water with a towel and lay flat to dry. Press with a warm iron if needed. Whilst I try to portray the colors as accurately as possible, colors may vary from monitor to monitor. Please note all items shown in addition to the bag are NOT included in the purchase. They only serve to demonstrate size and possible usage.